Sometimes embracing something new can be a challenge. That’s often true in business. The potential benefits of e-procurement can be wide-reaching for an organisation. Yet often the greatest hurdle for IT adoption can be fear of change, and the particular challenges perceived of technological adoption. Here’s a simple guide on best-practice to help you through. The first step in the journey is an important one, choosing your e-procurement solution. This decision-making process forms a vital part of due diligence when it comes to adopting new software. Thankfully there are system comparisons out there to help. Procurehere is a simple, user-friendly solution that aims to make that decision easy. That means your journey can begin with our buyer sign-up page, or help inform your decision with a free trial. Typically the journey begins with a sign-up. In Procurehere, that user will go on to become the primary Administrator of your Procurehere subscription. You’re not limited by this, and you’re able to assign new Administrators if you desire. These people are crucial for adding other users and setting up accounts. 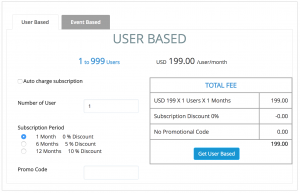 Your total user limit is based upon your subscription choices. It’s important to ensure you have the right number of users for your expected workload and system expectations, whether that’s approval pathways for requisitions or simply create and running of events such as tenders. You will also have to set up preferred units of measurements and business settings like location and time zone. It’s smart to get started with a pilot event to explore your e-sourcing systems. That helps you explore functionality without project time pressures, with a low spend value, and with the support of key business stakeholders. Identify some low-risk events which you can undertake, both RFx and Auctions, and give your team chance to utilise this new software in a way that doesn’t expose significant operational risk. 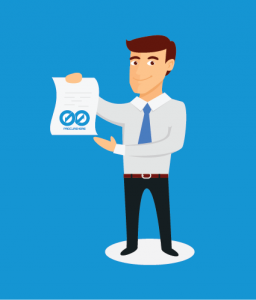 These metrics should be assessed periodically to offer on-going insight of your change management process as well as benefits of the e-sourcing system. Suppliers are a vital part of effective e-procurement. You should ensure your own key suppliers are part of the solution. With Procurehere, that means a simple supplier registration system to quickly and easily onboard your valued suppliers. Technology adoption isn’t something done overnight, it’s a gradual process which offers on-going opportunity. When it comes to e-sourcing that means helping support your staff and organisation as you get to grips with this opportunity. Plan your pilot well and explore the potential for your e-sourcing events. Ensure robust processes are in place to measure and track your success. When that success is realised, celebrate it. Procurehere is e-sourcing made easy. That makes it easy for your business to adopt, and easy for you to realise the benefits of this simplified e-procurement solution.